Polypropylene knitted cords available in a variety of colours. 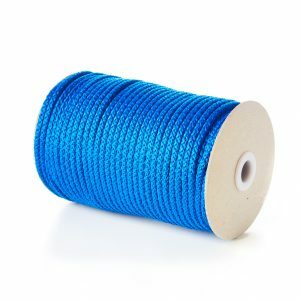 In addition to our other products, the strong and durable cord has a diameter of 5mm, so this is ideal for many uses like bag handles, arts, crafts, haberdashery & other general uses. Please see our Polypropylene Shade Card for available colours.